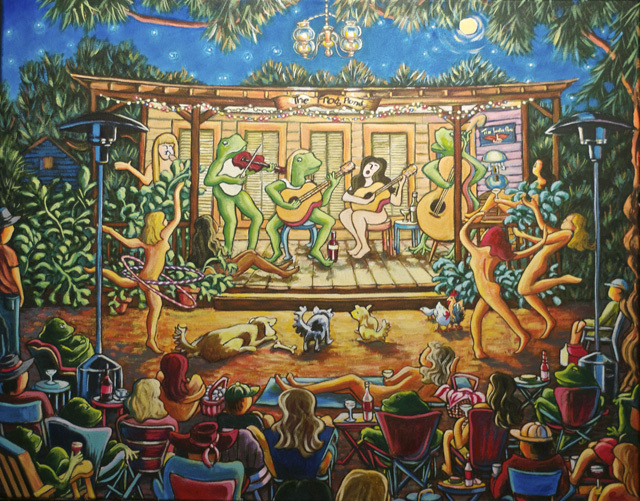 The Frog Pond at Blue Moon Farm | Community through Original Music.. Welcome to The Frog Pond at Blue Moon Farm! The Winter/Spring 2019 is up! THE NEW FROG POND WINTER/SPRING CD IS HERE!! Easily the most memorable evening I have spent in Baldwin County! Thank you for a wonderful afternoon. I loved your place! I didn't know that places like yours still existed in this world!